Cigar Smoking Retro 40s Businessman In Suit And Tie. Hair Combed.. Stock Photo, Picture And Royalty Free Image. Image 44063643. 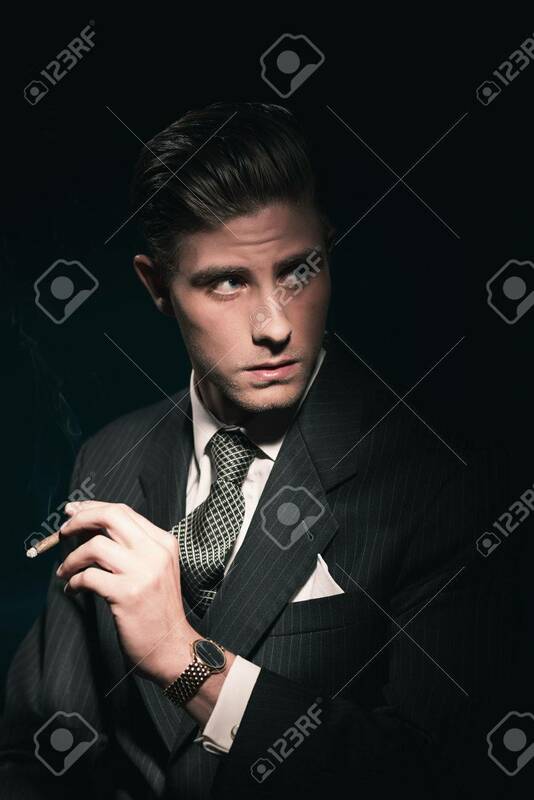 Stock Photo - Cigar smoking retro 40s businessman in suit and tie. Hair combed back. Against dark background. Cigar smoking retro 40s businessman in suit and tie. Hair combed back. Against dark background.